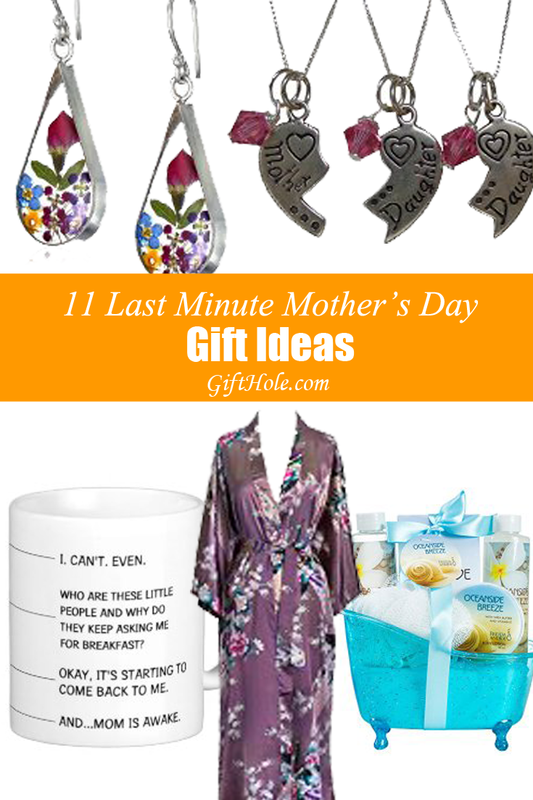 Mother’s Day falls on Sunday May 8th, 2016 this year which is only a few weeks away. 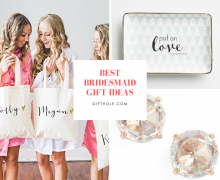 Don’t wait till the last minute to get your mom a great gift… but if you happen to, here are some great gift ideas that you should be able fairly quickly. If you have a close relationship with your mom and consider her one of your best friends, in which your bond is so strong, this Mother and Daughters Matching Necklace Everlasting Bond Set would be an awesome reminder every single time she feels it around her neck. I bet this will make her teary eyed when you tell her she’s your best friend. 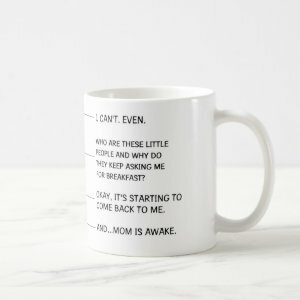 This Funny Coffee Mug for Mom would be hilarious especially since we all know the writings on the mug is exactly what she’s thinking when she hasn’t had her coffee yet. 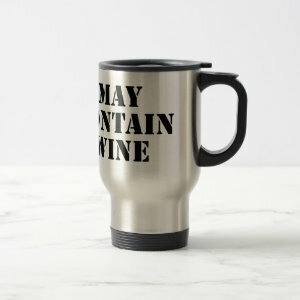 If that one doesn’t do it for you, well, there’s always this handy dandy May Contain Wine Travel Mug that I’m sure will suit your mom well! I’m not even a mom and that’s how I sometimes feel in the morning! This will be a handy and useful gift for your mom, especially for grocery shopping, so why not make funny? 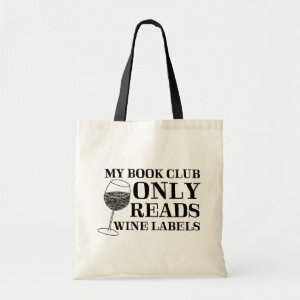 This My Book Club Only Reads Wine Labels Tote Bag would fit her just nicely and I’m sure she and others will get a good laugh out of it too! Every mom deserves a nice relaxing spa bath set. What makes it even better is if you give her the time to treat herself to the spa bath! Prepare dinner for the family, take the kids away and any distractions so she can truly relax. Moms love flowers, plants and smiling! This Sending A Smile Mini Rose Plant covers all of those in one gift! This would look great in her house or at her work. I mean, wouldn’t you want one for yourself? If she doesn’t have time to take long baths then a Aromatherapy Shower Kit will be next best thing! Turning their shower into a spa sounds like they’ll be enjoying their shower even more! Since we’re on the bath and comfy theme then getting your mom a nice comfy bathrobe would be a great. I bet she’ll wear this every single day! Not only would this vase be great for her flowers but it’s also a nice decoration for the house. That’s a two-for-one gift idea! Just imagine this vase with some beautiful flowers (which you got her) sitting on her windowsill. Trust me, she’ll love it! Has she been talking about specific pair of earrings? Or did you see a pair that would go great with the colors she usually wears? I’m sure whichever pair of earrings you get her she’ll love. Wine and chocolate, she won’t be able to say no! But instead of just handing it to her separately, why not wrap it all into one and get creative with it? 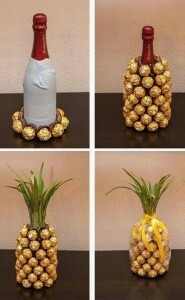 Check out this wine and chocolate pineapple! If I read this correctly, this Coco Mademoiselle Perfume is the best selling perfume for women in 2016. And your mom deserves the best! 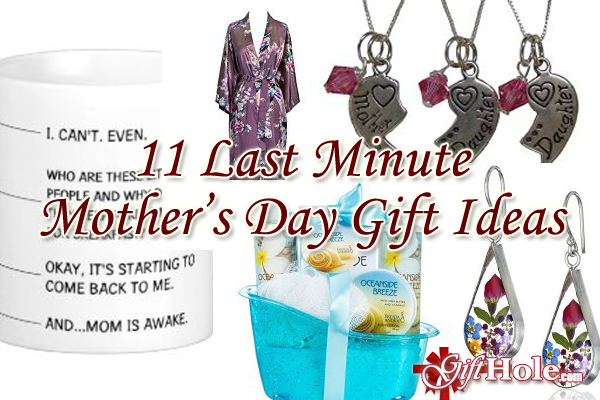 I feel there’s three ways to go when it comes to gifts for your mom; a sweet gift, a fun/funny/gag gift or a gift that will be useful to her for a long time. 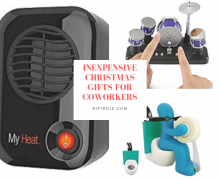 All of the above cover those gift ideas so I hope it has helped!